While I’ve been busy out and about, I’ve been bookmarking a few interesting tidbits to circle back around with to take a closer look. Let me share a few. 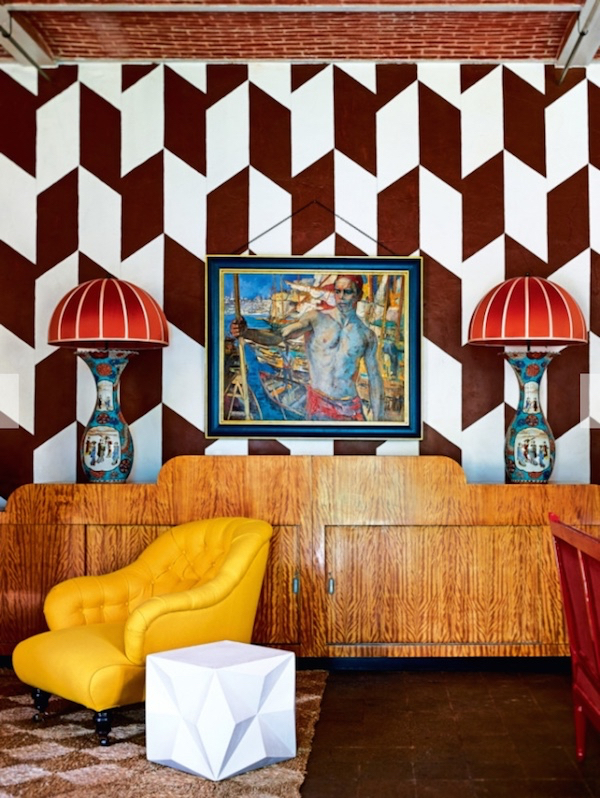 Belgian antique dealer Jean-Philippe Demeyer’s 13th century estate, Rooigem, just outside of Bruges is a statement in bold and irreverent style. 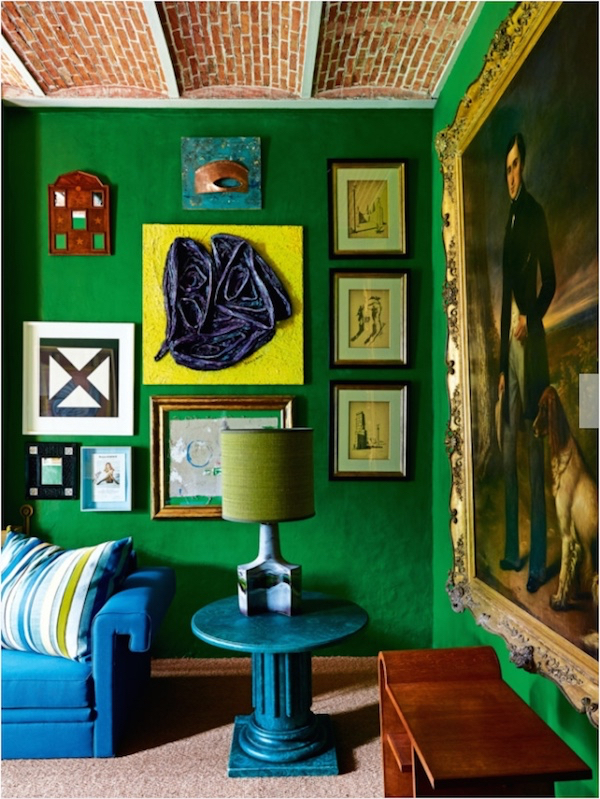 Functioning as a gallery, everything in this colorful contrast of color, geometry and styles is for sale. 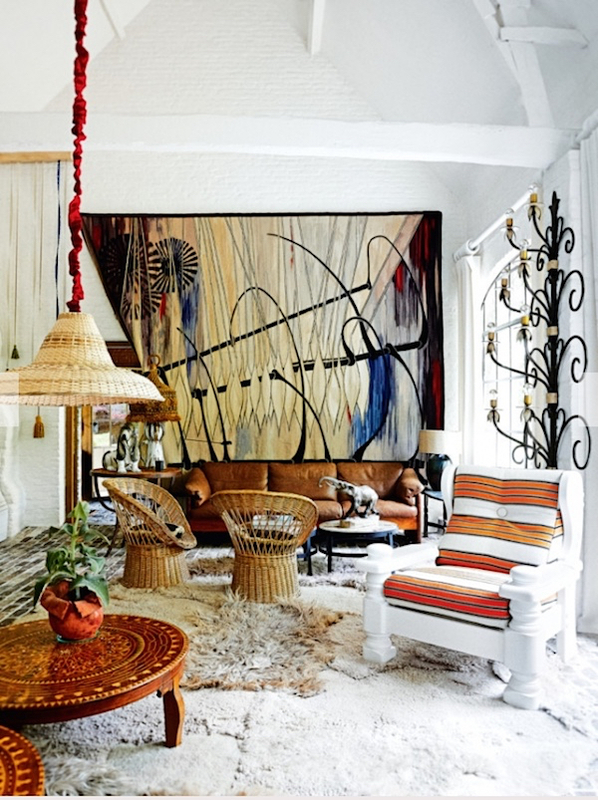 To see the entire house tour, you can visit Vogue Living here. 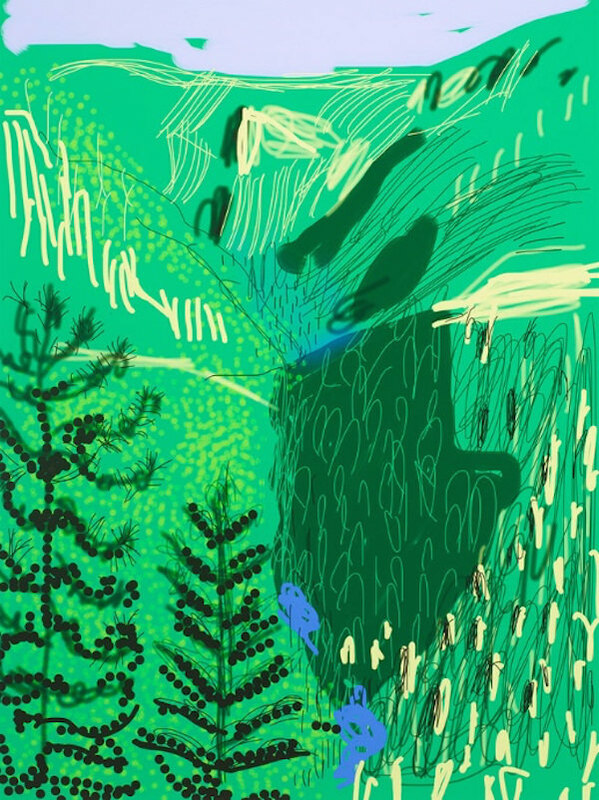 I have been looking longingly at the new iPad Pro with its amazing ability to draw with the new Apple Pencil among many other impressive features. 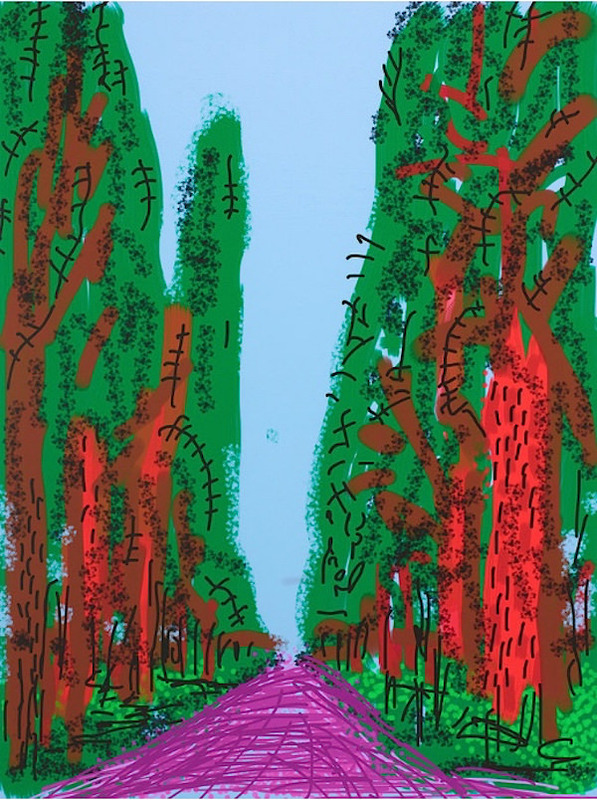 Even the older models offer creative solutions for artists as exemplified by David Hockney’s “The Yosemite Suite” he made on an iPad during a visit to the national park. A new exhibit of these works is at the Pace Gallery. 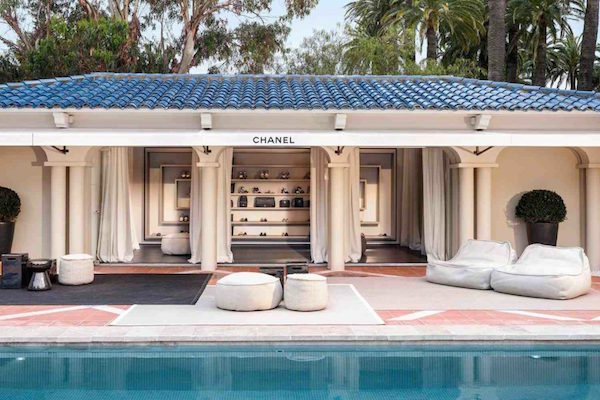 For those of you traveling to the south of France this summer, Chanel will again be hosting a pop up in the beautiful private mansion La Mistralée through October 5th with a selection of ready-to-wear, accessories and jewelry and watches. You may remember my writing about the Chanel Métiers d’Art show in Salzburg a while back. Once a year, the couture house presents this special show to honor the fine craftsmanship of the ten artisanal houses in their Paraffection division. The Paris in Rome collection, presented last December at the Cinecittà studios in Rome, was recently shown in Beijing, spawning a revisit of the making of the collection. 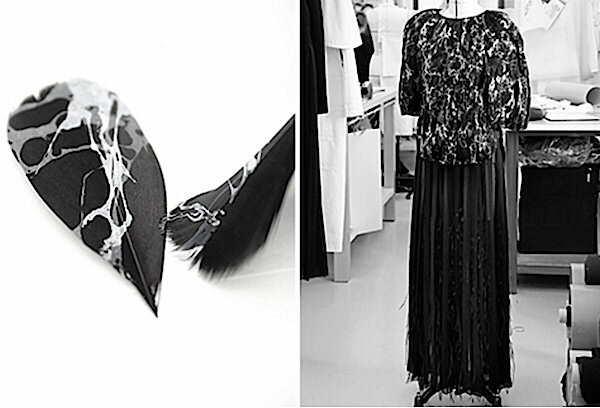 Above, the Lemarié ateliers created marbleized feathers that were then sewn onto the silk organza of the top. 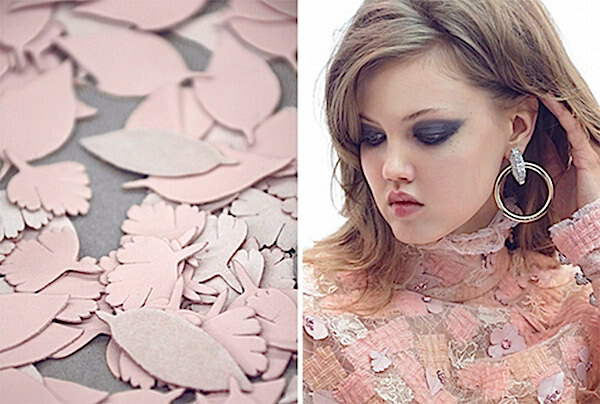 Below, leather leaves and flowers are assembled with squares of tweed and lace which are then sewn together and embellished with rhinestones. 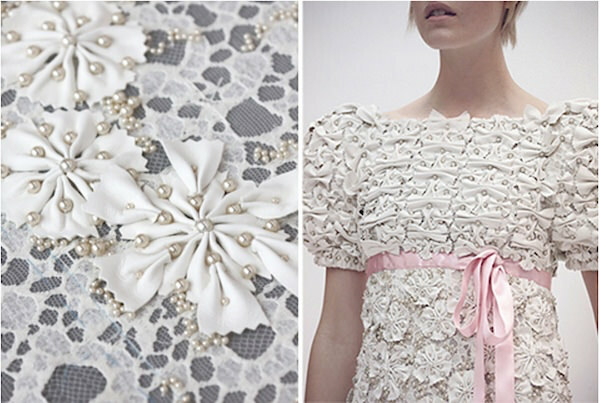 The embroidered lace is then sent back to the Chanel studio to be assembled. If you are interested in learning more, many of these artisanal houses were featured in the volume Haute Couture Ateliers. 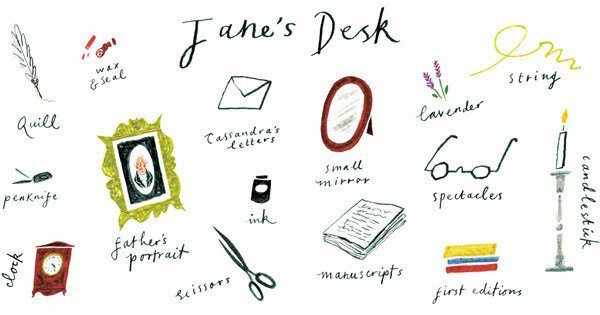 And for those looking for more literary summer diversions, a new illustrated biography of Jane Austen might be just the thing. 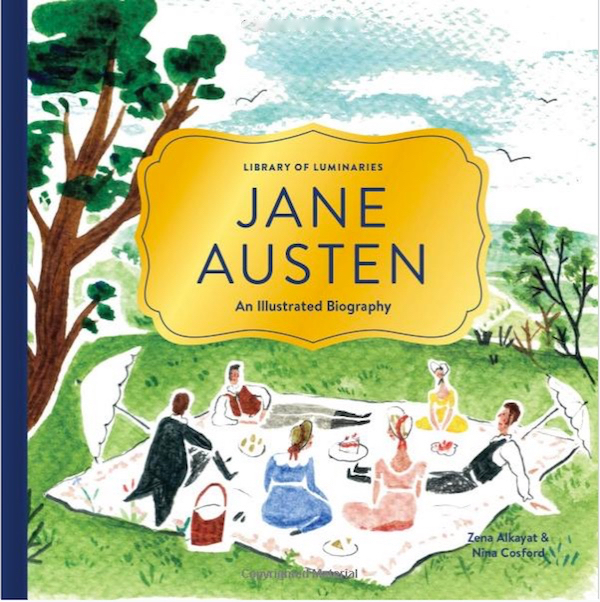 The latest in the Library of Luminaries series, it tracks Austen’s life with charming drawings and annotated illustrations. For more about the story behind the stories, visit brainpickings here. All writers get occasionally stuck in that rut where nothing is flowing as it should. Take a peek at Ben Watts’ clever Writer’s Block – A Supercut for some famous yet relatable outtakes highlighting the highs and lows of the writers’ world. 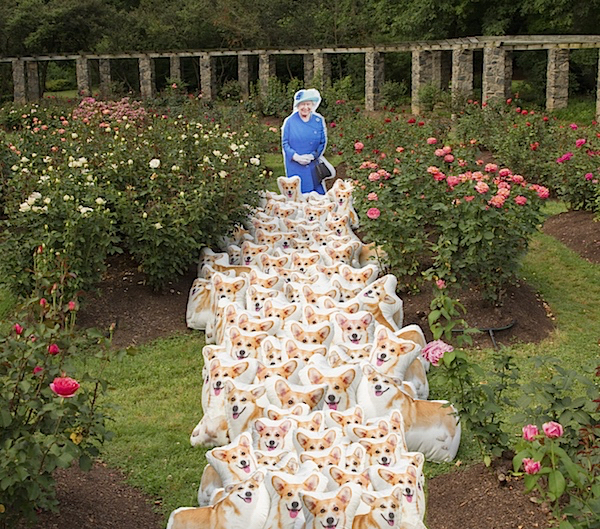 In honor of Queen Elizabeth’s 90th birthday and her 83rd anniversary of her love affair with corgis, Spoonflower, the world’s leading source of corgi-themed fabric, wallpaper and gift-wrap designs, created a fun tribute with 90 corgi-shaped pillows and one life-size body pillow of the Queen. 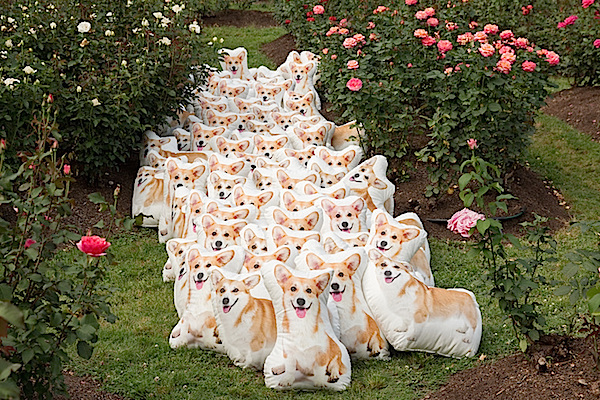 Queen Elizabeth will be receiving two corgi pillows as a gift from Spoonflower for her last remaining corgis, Holly and Willow. The custom printing company hopes someday to present all 90 pillows at Buckingham Palace or at the very least, auction them off to benefit one of the Queen’s favorite charities. This entry posted in art, books, fashion, interior design. 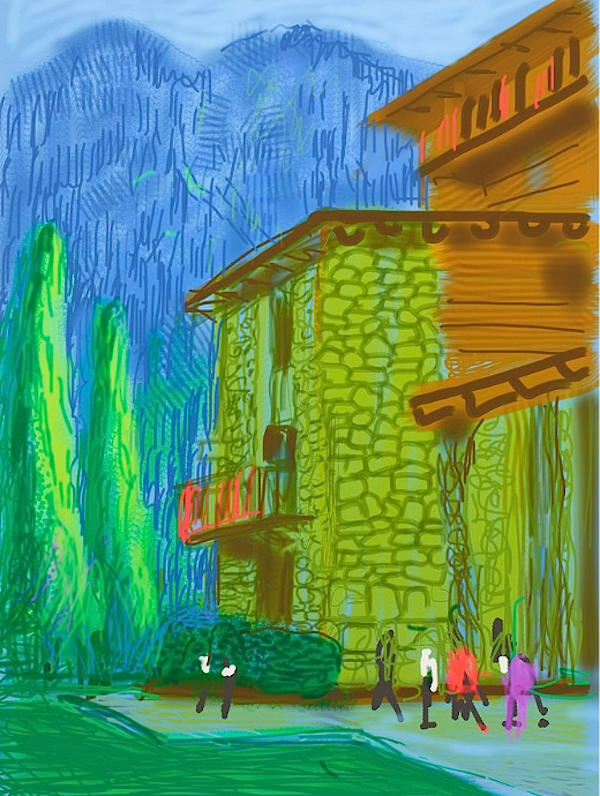 Entry Tags: Chanel, David Hockney, iPad art, Jean-Philippe Demeyer, Spoonflower Bookmark the permalink. 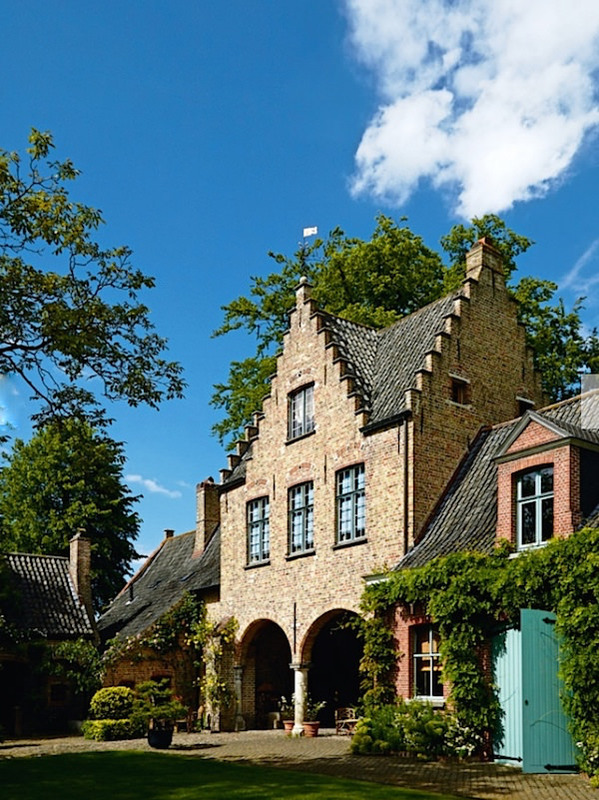 That house in Bruges is gorgeous. Very Flemish–modern and traditional and moody. The pillows gave me a laugh. Priceless. 84 queries in 0.735 seconds.